Do you ever feel trapped into hearing a YES? You know that feeling when you are facing an investor or a client, and you just know that saying YES is not going to be the best choice, but you NEED the money? Sometimes, as entrepreneurs in full-time sales roles, we face this moment. Whether it be driven by fear or desperation, we’ve all probably faced a decision point. It’s the kind of decision that we will either lay awake and think about the results of or will peacefully sleep, knowing that we made the right decision. It could be a client or an investor. They may have terms that aren’t quite what we want as part of our deal. Often, we see that moment of “flipping the script,” as I like to call it, as a result of success. NO feels like a luxury. But sometimes, that opportunity shows up as part of the journey and leads you on an amazing path. A scarcity mindset, of desperately worrying about making payroll, or thinking that you need money now can lead to a YES that really should have been a NO! Beware of the mindset of the moment: where you see only the needs of today, rather than the big picture and looking into other options. If I had been aware of this when I first began my life as an entrepreneur, I’m pretty sure that I would have run my business differently! When I worked at FITzee Foods, at our peak, we had $20,000 to $30,000 in monthly payroll, and 25-30 employees, whether they were in sales, or in the kitchens, or in our retail stores. There may have been some better decisions I would have made along the way. I may have said NO to some investors. Perhaps I would have said YES to some different clients. I may have said NO to some opportunities. Who knows, it could have been a very different entrepreneurial journey! Sometimes, a NO can lead to your highest ROI – and the best night’s sleep, knowing you made the right choice! 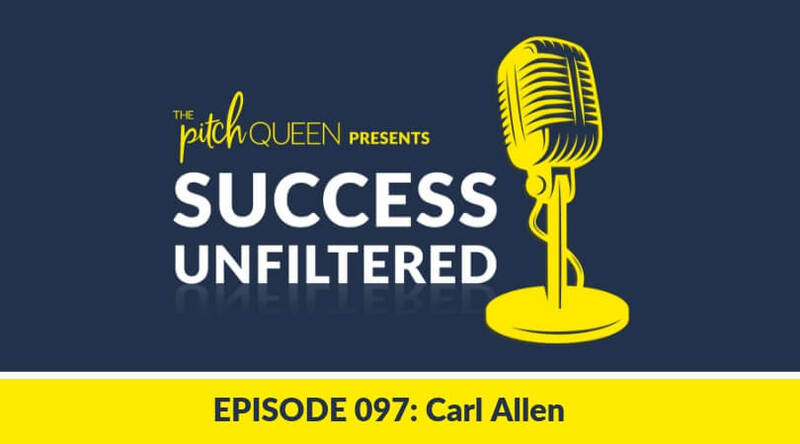 A guest on the Success Unfiltered Podcast, Carl Allen, flipped the script on a buyer in a surprise move. His choice that day has lead to a fulfilling sales career, and millions – that’s right, MILLIONS of dollars in revenue. Carl started his career as an investment banker, working on acquisitions. He decided to go to business school and get his MBA. There, he discovered his love for all things entrepreneurship and worked with some of his classmates to start a startup software company. They must have pitched over a thousand angel investors for their software startup – it was crushing because every investor said no! Even when they offered their product for free to companies in exchange for feedback and testimonials, they still heard NO! Everyone said NO! The startup ran out of money, and Carl even ran out of money – he invested about $400,000 of his own money over the course of 18 months. This is a key lesson they learned: they created a software company because they thought it was cool. What they failed to do was to find a market of hungry customers that had a desire and NEED for their solution! After finding those people, they should have created the product that fit their needs, and then bring them that solution. Just because you have a cool product doesn’t mean that your customer wants it – you have to know what your customer needs and wants. This led Carl to the decision that he wanted to buy companies that succeeded where he failed, and keep pushing them towards success! “If I can’t beat them, I’ll join them,” he said. Carl started applying for investment jobs and ended up being on the other side of the table, listening to pitches. Applying the lessons from his own experience in pitching led him to be an excellent investor, and he joined HP as one of their investors. 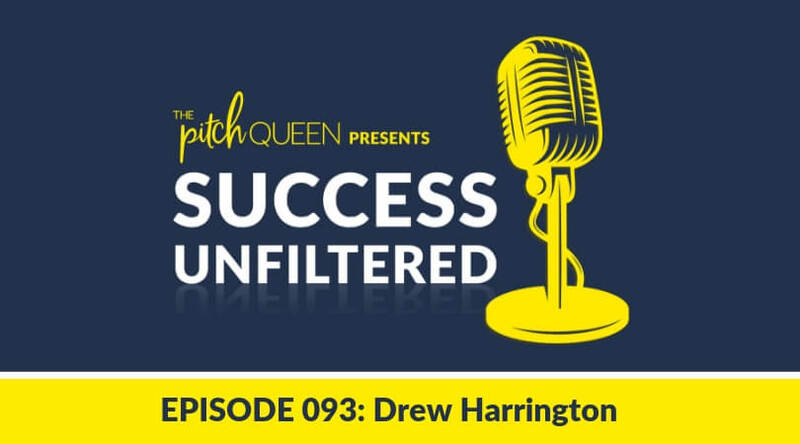 This led to him traveling all over the world, working on deals, and hearing pitches. He was good at what he did, but then one day, after nearly missing the birth of his child, he decided it was time for a change. Carl decided to use his experience and become a business broker. Carl’s first client as a business broker was a transportation company. Two brothers owned the company and were ready to retire. They wanted to sell the company for 5 million, Carl was able to help them find a buyer. They had signed papers, and he was about to get a quarter of a million dollars! The fees for brokering sales are high, but there’s a catch – they are paid after the deal is closed. The night before the deal was supposed to close, while sitting at the kitchen table with his wife, drinking a celebratory glass of wine, he got a call. He raced to the office and found that everything changed. The buyer had outlined all their terms – including a list of names of people who had to be fired! The buyer’s plan was to simply absorb the company; the assets and transportation fleet. But the employees? They weren’t wanted or even needed. The buyer had offices nearly 200 miles away, and they didn’t need the employees. Closing this deal would have led to the firing of many faithful employees, many of whom had worked with the company 10, even 20 years. The sellers simply couldn’t do that. They pleaded with Carl to find them a new buyer who wouldn’t simply destroy the business. Defeated, they all sat down, to determine another way to handle the situation at hand. Then, in a dramatic flash of inspiration, Carl stood up, lifted his shoulders, and smiled. “I’ll buy your business,” he declared. He was able to finance the assets of the business, partner with the company leaders, and come up with a plan to pay for the business. This became his first leveraged buyout – and led to an unexpected career. He bought 70% of an established business without spending a dime of his own money! Now, Carl has more than 17 businesses. Everything that he has learned and applies to his career today, stems from the painful lessons in his early career and a desire to take care of the businesses he buys. All the pain; all the suffering from his early career led to his success today. One of the hallmarks of Carl’s career is the concept of karma. He shared about multiple business deals where he would have made significant amounts of money – but that someone else would pay the cost. When he made the decision that helped others, he always found success! Karma isn’t always the first thing that we think of as entrepreneurs always focusing on our top line growth, but we’ve seen time and time again with guests like Carl on the Success Unfiltered Podcast that the right choices can lead to amazing levels of success. So tell me, what are some difficult choices that you’ve made that had incredible karmic results?